There are 40 reviews of Cedrat Boise. Odd that I just happened to review Aventus today as well, as it was completely unplanned and next in my rotation to review. Serendipitous! Spicy citrus-cedar-the bergamont comes through, as does the lemon. The lemon does smell very synthetic to my tastes. Unlike Aventus, which smells very natural throughout, this has a strong artificial element to it which I, unfortunately, do not care for. There is little sweetness here: almost undetectable currant that is very faint. I don't find that this projects anymore than Aventus, nor do I find it any more long lasting: very similar in their duration and action. I'm not sure I'd say I care for one more than the other: would I trade a synthetic lemon-cedar scent with a woody base to town down the sweetness, or a cloyingly sweet but natural smoky pineapple fragrance? Either way, I find them both above average. Although they may be used for similar situations, they are different scents altogether. Linear, perfectly acceptable summer fragrance that is probably (definitely) more expensive than it should be. Very forgettable, but not something you'll regret wearing. This is a really nice masculine fragrance that gives me similar vibes as Creed Aventus, but isn't a clone of that fragrance in any way really. To my nose, only the opening reminds me of Aventus (and mainly due to the sweet blackcurrent note). The opening is bergamot, blackcurrent, cedarwood, lots of black pepper, and a hint of violet leaf to my nose, making it sweet yet spicy and masculine leaning at the same time. On the drydown though, it goes in the direction of mostly cedarwood with blackcurrent and a bit of bergamot in the background, and doesn't remind me of Aventus at all (no noticeable leather notes). In fact it reminds me of Creed Bois du Portugal and Lalique pour Homme (Lion) due to the prominent and natural smelling cedarwood note, and also a bit like Dior Sauvage. This is like a power scent. It's a scent you wear to a business meeting or when you want to make a statement or your presence known. "Cedrat Boise" as a name is very appropriate, but I feel it should've been called "Cassis Boise" because the blackcurrent and cedarwood are stars of this show. Projection is insanely good (2 sprays was almost too much for me and nearly choked me out; 1 spray is all I can do with this fragrance). In fact projection is so strong I'd classify this as a winter scent. While longevity is also insane, projecting strongly for over 8 hours and even through a workout! Overall this is an amazing masculine fresh yet sweet and heavily woody fragrance with absolutely nuclear performance. A nice and clean fragrance; lemon with woody undertones. Not as smoky as Aventus, this is more geared towards fruits and woods. The opening is lemon, the mid is lemon supported by fruits, and the dry down is woody. The opening does have that fruity Aventus vibe but I think CB is different and remains its own fragrance from start to finish. It starts with a pungent blast of fruity pebbles as opposed to the pineapple, apple, and bergamot. Aventus birch is traded for an application of cedar, becoming a bit more astringent than smoky. Lasts a bit longer than its competition. To me, this gives the same impression as Aventus. I could see using them interchangeably, in similar situations. But, it is a different scent altogether, and not a clone. An awful lot of noise comes from the online fragrance community across forums, YouTube, and social media, especially from the CISHET male side about how Mancera Cedrat Boise (2011) is the big "Creed Aventus (2010) killer" made to put the house in its place for considerably less. This is absurd, and has righteously caused many Creed sycophants to instantly declare this an enemy/usurper (which is a bit theatrical but not far off), while others whom agree with the declaration think they've earned some modicum of hipster colognoisseur cred by wearing the Mancera over the Creed. Once all the silly High School drama clears and we're left with Cedrat Boise sitting on it's own merits, what we actually have is a fragrance released by a perfumer who is in his own little world (likely from sniffing too much synthetic oud) that is indeed a competitor for the same demographic almost by accident, but actually smells more like higher-quality and more-natural predecessor to Dior Sauvage (2015). Another glaring facet that "dudebros" seem to forget is Cedrat Boise is not a gendered fragrance, and therefore all but unisex without being called such, so folks with feminine chemistry are also meant to try it to see what results can be wielded from wearing it. I do agree that like many Unisex Creeds, Cedrat Boise mostly appeals to masculine tastes, but not by the design of the house of course, since "citrus woody" as its name roughly translates could apply to a number of feminine perfumes. Cedrat Boise is a dry woody scent with a juicy sharp fruity citrus punch on top, and a few key synthetics to shape it out, which is where I get most similarities with it and the designer bomb known as Sauvage. Mancera Cedrat Boise opens with a brief rush of dry bergamot, followed by Sicilian lemon, and a sweet blackcurrant note which is the biggest comparable facet to Aventus it has. The connection to the later Sauvage is much stronger and almost instant as well; one can surmise that François Demachy of house Dior must have taken huge inspiration from Pierre Montale's work here when he composed Sauvage, especially in the base construction. I can see where the fruity presentation might sniff of Aventus from afar, but a total lack of pineapple (or the ability to tell it apart from blackcurrant) instantly kills all serious likeness between Aventus and Cedrat Boise to me. A touch of dusty white florals and cardamom spice inhabit the middle of Cedrat Boise, while the blackcurrant continues into the heart, joined by a white patchouli note and jasmine hedione. A telltale norlimbanol scratchiness which is milder than Sauvage but close in throbbing tone announces the base, and also distances Cedrat Boise from Aventus even further, both in quality and personality. A white musk and cedar note finish out Cedrat Boise, with hints of leather softened by vanilla and shined up with a sliver of oakmoss bite, whatever quantity is allowed by IFRA these days anyway. Sillage is mild overall, and downright weak for the usual Montale/Mancera composition, but longevity is stellar at 12+ hours assuming you don't become anosmic to the musk or synthetic karmawood. This is a perfect year-rounder generalist through and through for folks digging this vibe, so wear it where you will, and maybe make it a signature if you're a one-scent kind of person. My only complaint is I'd get bored really fast if this was my signature of choice, since this style is all but standardized anymore. A big weak point to Cedrat Boise if compared directly to Aventus is the scratchy norlimbanol, although not as intense as what is found in the later Sauvage, but still gives Cedrat Boise an obvious synthetic quality which Aventus is much better at hiding with its house ambergris. Secondly, without pineapple or vetiver, the only real link they share is the white floral heart, and that's too brief, but for noses not as finely-honed, I can see where the confusion in telling them apart lies. I also honestly don't think Cedrat Boise was made to be an "Aventus Killer", as marketing anything that way is setting up for failure with critics, who have by and large embraced this juice. Lastly, Cedrat Boise is one of a glut that Pierre Montale churns out yearly for his own houses, precluding any notion of targeting another scent's market, especially considering Aventus was barely even a year old by that point, and not yet the hype monster it would become in the fragrance community. Guys who like Sauvage but find it too sharp, loud, or shrill should really check into Cedrat Boise, and fans of Aventus should add this alongside, as discounters often sell it at designer price points, so you can get it with less risk. Old heads will likely hate Cedrat Boise, but it's almost deserved disappointment if you prefer mossy or animalic masculines and dive into psuedo-synthetic "nouveau-niche" like this without first testing. I am a fan of the fruity sharp citrus synthetic woods style (much to the chagrin of some peers), as for me it's the early 2000's come again, but I'd not recommended this over anything it compares to because Cedrat Boise feels less like a replacement for a popular masculine and more like an alternative to sit alongside them in a larger collection; it's a real off-beat "deep cut" of a creation made more for a collector than somebody with a smaller, more pragmatic wardrobe. Thumbs up! At first when I got this.... I thought it was OK, however after more wearing, what a gem this really is. In the warm weather this radiates and creates a lovely clean fresh Aura, a bubble of fresh Citrus and Blackcurrant... Before slowly turning woody. For all the Creed fans, yeah it has that vibe, however this is like a distant cousin. More friendly and defo better value for the money. Mancera hit it out of the Park again for me. Simply delightful. Gains a lot of notice and liked by most around you when wearing. 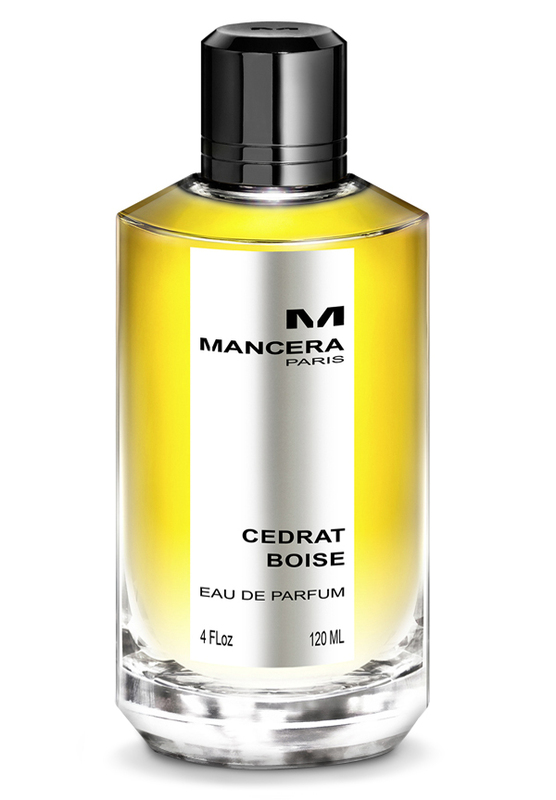 Mancera Cedrat Boise 10ml Glass Travel Spray -Free Shipping And Sample Included! Mancera Cedrat Boise -blind buy?